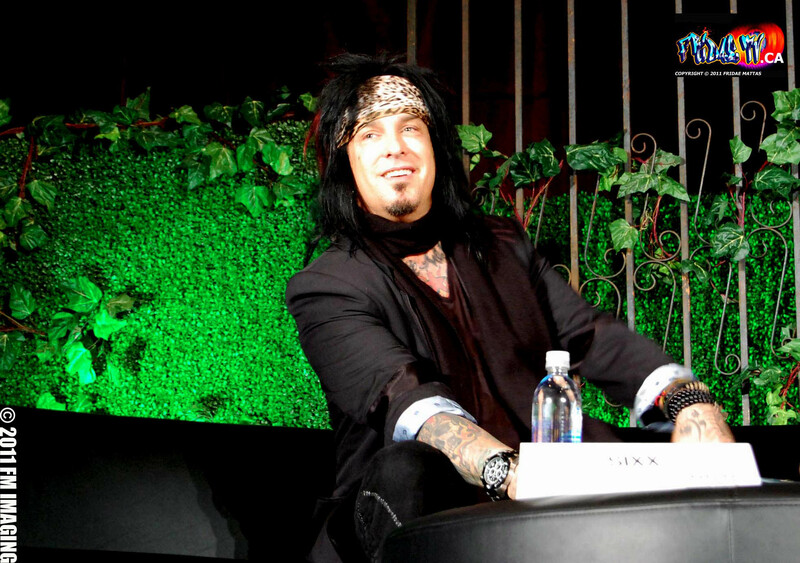 NIKKI SIXX BRINGS HIS BOOK TOUR TO TORONTO! On May 7th, 7pm at Chapters on the SOUTHWEST corner of John and Richmond in Toronto Nikki Sixx will be dropping by to sign copies of his newly released “This Is Gonna Hurt” book. Toronto is his final book tour destination and in order for you to get his autograph you must have a copy of “This Is Gonna Hurt” no memorabilia will be signed, proof of purchase required from any Chapters, Indigo, WBB or Coles location. This isn’t the last Toronto visit for Sixx, he will return to Rock the Molson Canadian Amphitheater Stage with his Crüe of Mötley’s on June 28th along side The New York Dolls and Poison. Buy tickets here! Nikki Sixx was born Frank Feranna in San Jose, California and grew up in Seattle, WA with his grandmother. At the age of seventeen, he sold his guitars and took a bus to Los Angeles, where he began hanging out in local clubs and playing in bands. He founded Mötley Crüe in 1981 with friend and drummer Tommy Lee. As the co-founder, songwriter and bassist of one of rock’s most notorious bad boy bands, Mötley Crüe, Sixx has achieved international success, with album sales exceeding more than 40 million units worldwide. The band’s decadent lifestyle was documented in the best-selling 2001 autobiography and soon-to-be feature film, The Dirt. Mötley Crüe had one of the top-grossing tours of 2005, with all four original members reuniting to play before an estimated one million people in the United States. Sixx has also written songs with Meat Loaf, Marion Raven, Drowning Pool, The Exies and Saliva.